Nothing will return day-old pizza to the glory of its straight-out-of-the-oven taste, but it still makes decent leftovers. 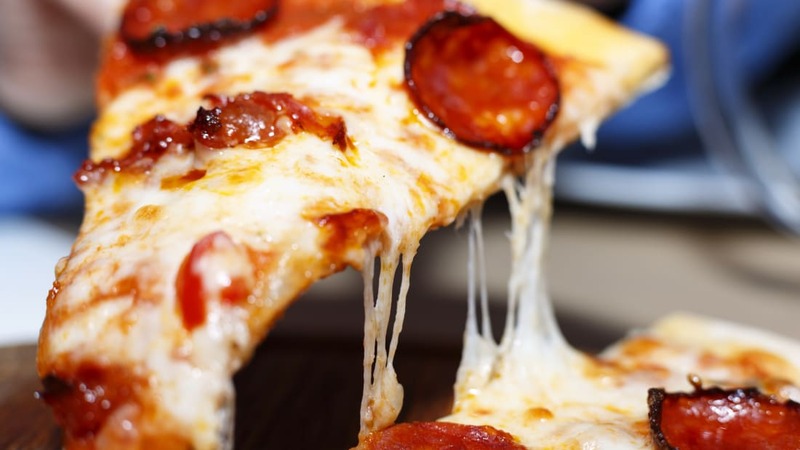 If you’re not a fan of the cold slice, though, you may lament just how soggy pizza gets in the microwave. Leftover pizza deserves a better fate. Thanks to Food52, we know that the skillet is the way to go if you want a reheated slice that’s not too dry, not too soggy. Food52 reached out to several pizza experts, including international pizza consultant (yes, that’s a thing) Anthony Falco, who previously worked as the pizza czar at the popular Brooklyn pizzeria Roberta’s. His super simple instructions involve the genius addition of just a few drops of water. The idea is to crisp up the bottom of the pizza first, then create some steam to keep the top of the slice moist as you warm it up. First, place your pizza slice in a nonstick skillet over medium heat and cook for two minutes. Once those two minutes are up, put two drops of water into the pan with the pizza, cover the skillet, and turn the heat down to low. Let your pizza steam in there for one minute—and then eat it! Falco created the graphic below to illustrate the technique. Another pizza expert Food52 spoke to suggested using a piece of foil to cover the pizza, which would work similarly to the covered pan, trapping in the moisture so you don’t end up with the dry toppings you'd get if you used the oven. If you are intent on microwaving your pizza, there’s another way to improve its texture without resorting to a new appliance: Buy yourself a cheap crisper pan. At-home pizza is never going to be as amazing as a pie that's fresh out of a wood-fired oven, so now that we've worked up your appetite, check out our picks for the best pizza in all 50 states.